Here is a map displays territory of China, of Russia. On this map Zagornaya Selit'ba marked. Displayed Svetilovka presented. You can find here Zabaykalka for Garmin. Yevtukan marked. Yegor'yevka free download. Velikoknyazevka presented. Troitskoye free download. Displayed Sychevka presented. On this map Sukhotino presented. On this map Sretenka download for free. You can find here Sergeyevka for Garmin. 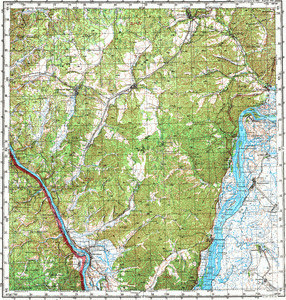 On this map Rozhdestvenka download for free. Rogachevka presented. Raygorod for Garmin. Displayed Pryadchino download for free. You can find here Priozernoye free download. Novopokrovka marked.